Department Chair. With over 35 years of pastoral and teaching experience, Dr. Thomas Whitehouse (Distinguished Sidney Greidanus Professor of Biblical Studies) brings a passion for careful and deep study of God’s word to the seminary faculty. After his studies at Florida Bible College (B.A. ), Capital Bible Seminary (M.A. ), and Somerset University (Ph.D.), He pastored churches in San Antonio and the RGV, working mostly in Spanish. He and his wife Angie have nine children and eight grandchildren. He ihas been the pastor at Living by Faith Church in McAllen since November, 2010. Before joining our faculty as a full professor, he served as adjunct professor at Texas Bible College (1981-1983), National Christian University (1997), Baptist University of the Americas (2001-2004), and Rio Grande Bible Institute (2005-2008). He received Edinburg Theological Seminary’s H. Ridderbos Exegetical Award in 2008, the Outstanding Faculty Award in 2009, the Spurgeon Preaching Award in 2016 and The ETS Literary Award in 2017. His goal is that the glory of God in Jesus Christ be manifest in every sphere of life through the careful study, meditation, and application of Scripture. 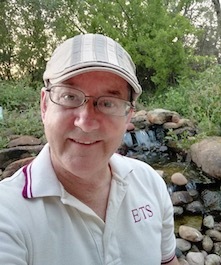 A skilled English/Spanish translator, Dr. Whitehouse has translated The Gospel Under Siege: a Study on Faith and Works, by Zane Hodges (El Evangelio Bajo Sitio: Un Estudio Sobre la Fe y las Obras, Redención Viva, 1985), and Mountain of Light (Monte de Luz), a Wycliffe Bible Translators’ missionary film on the Sepik Iwam tribe in Papua New Guinea. Dr. Whitehouse’s latest scholarly publication is “Models of Cultural Transformation” in the premier issue of Fidelity, a scholarly yet practical journal on applying the word of God to every aspect of our culture and our world. It is available here. He has also published a Christian fantasy novel, BirthSong, available here.